My current focus is on helping people make sense of data and on interaction with smart and autonomous systems in everyday situations. My work lies at the intersection of design and technology and it is influenced by behavioural and social sciences. The wealth of data made available by the Internet of Things (IoT) keeps growing. How can we best design interactive systems to help us take advantage of this data, to make our lifestyle more efficient, more sustainable and more healthy? My research aims to address this question in two ways: first, through interactive visualizations designed to assist people in making sense of data; and second, supporting the delegation of some agency to autonomous devices and services, that draw upon machine learning techniques and optimization algorithms. I am particularly interested in situations where the IoT data is incidental to people's activities, such as in the domestic context. A considerable part of my research is related to sustainability and energy consumption, not only because of their societal and economic implications, but also for the opportunities that energy systems provide to study interactions with prototypes of future systems 'in the wild'. 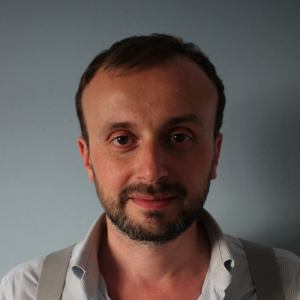 Enrico Costanza joined UCLIC, the UCL Interaction Centre as a lecturer in Human-Computer Interaction in September 2016. He moved to UCL from the University of Southampton, where he was a Lecturer in Electronics and Computer Science from 2010. Before Southampton, he gained 7 years of research experience across the EPFL Media and Design Lab (Switzerland), MIT Media Lab (USA), MIT Media Lab Europe (Ireland) and the University of York (UK). He holds a PhD in Computer and Communication Sciences from EPFL (2010), an MS in Media Art and Science from MIT (2006) and an MEng in Electronics and Communications Engineering from the University of York (2003).